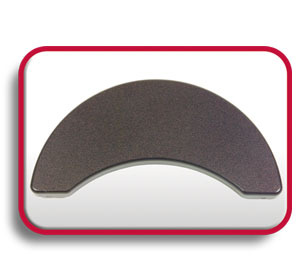 The ASL 619 Eclipse Tray was designed with rounded edges for mounting flexibility. The curved inside allows you to place the tray closer to the client and when used with a ASL 616 Gatlin Mount it can be adjusted to any angle. It can be used as a standalone tray or as a switch mount for proximity or fiber optic sensors. ASL 616 Gatlin Mount Not Included.